The Fibermak Hawk is what fabricators have been in search of for years. If you are a business looking to expand or diversify, the Hawk opens up new opportunity in different markets. 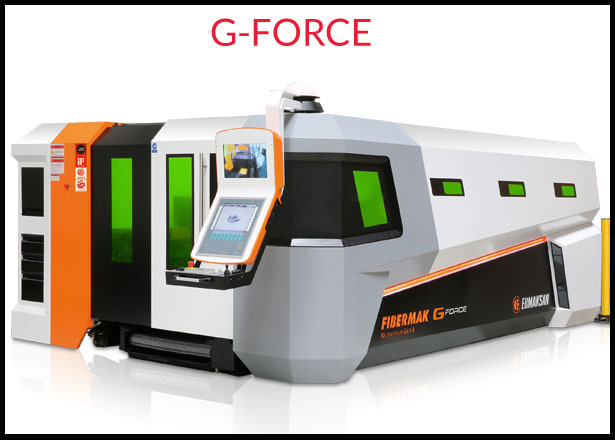 Fibermak G-Force is designed with the servo motor concept, A machine equipped with a servo motor may reach up to 46 acceleration with its rigid bridge as a result of dynamic analyses performed and its perfect design. Thanks to the high acceleration that provide great advantages while switching between parts, production time is decreased and efﬁciency is increased by 15% per hour in average. The more complex the part to be processed, the greater the productivity. 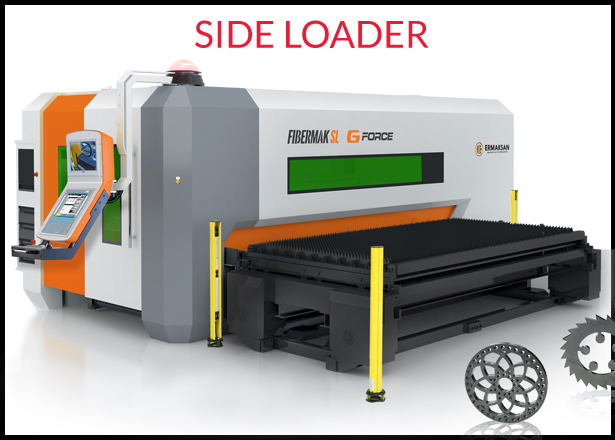 Produced by using long-lite and high duality components together with its strong body structure, Fibermak G-Force is designed to operate continuously and precisely even under the most severe conditions. 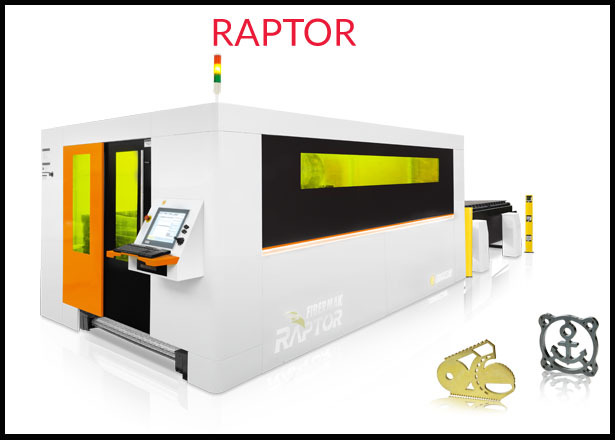 The Raptor uses special optical fiber as the active medium, the thickness of only a few micrometres producing a beam of high performance, optimal quality. 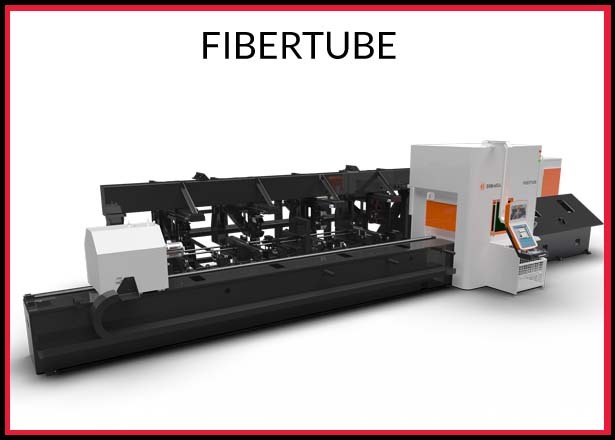 Fiber is the fastest laser cutting process thin sheet. By cutting laser results in a higher quality cut edge compared to other options. It obtained a smooth cut without burrs or rough. Reflective materials such as aluminum, copper or brass can be cut easily. It obtained an excellent surface quality on carbon steel sheets. Engineering Machinery with IPG Lasers | uses two types of laser sources: Fiber laser and CO₂ laser. 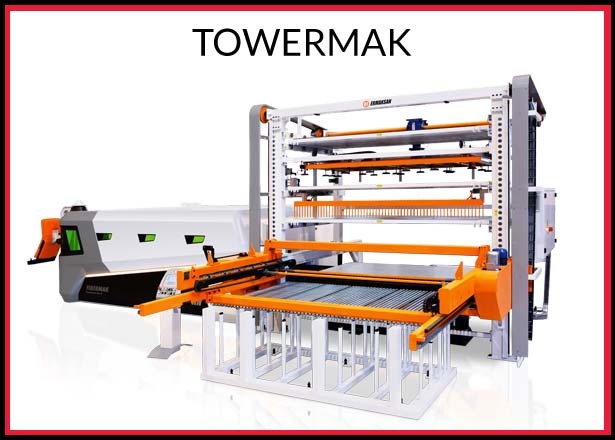 Increasing its production efficiency in laser cutting technology with Fibermak, Ermaksan provides the most ideal solutions to meet the requirements of the industry with various machine models it has introduced to the market. In addition to offering customized solutions to customer requirements, it also contributes to smart manufacturing processes by developing machines suitable for automation. With our industry 4.0 solutions which shall provide greater ﬂexibility in production processes, factories are much smarter, and the manufacturing operations are more digital and traceable now. Ermaksan laser technology used in many stages of the manufacturing industry, particularly in automotive and aerospace, contributes to the efficiency and sustainability of production by meeting customer expectations in terms of high precision and cutting speed, minimum roughness and long-term operating performance. By continuously monitoring new trends and customer expectations and designing and producing environment friendly and energy saving machines with advanced technology and high added value, Ermaksan is moving forward with its stakeholders on the way to sustainable growth by taking strong steps to the future.